Call the West Parkland Gas Co-op Ltd. 24-Hour phone number 780-963-3311 and 911. Any line damage, no matter how minor must be reported to West Parkland Gas Co-op Ltd. Damage includes nicks to the coating on steel pipe and scratches to plastic pipe. Turn off machinery and eliminate all sources of ignition. Remove any sources of ignition and extinguish cigarettes or any open flame. Evacuate the area, including buildings. Move people upwind if possible. Prevent vehicles and bystanders from entering the area. Call the fire department if there is a danger of fire. Avoid contact with any natural gas escaping from the pipeline. Notify people in nearby buildings, as gas might enter through drains if the break or leak is underground or through fresh air intakes and windows if gas leak is in the air. Attempt to repair the leak or stop escaping gas. Turn electrical switches on or off. Operate any machinery, including vehicles. What do I need to know before I dig? The most common reason a gas line is hit is because the homeowner or contractor did not have underground lines located before they planted trees, dug fence post holes, anchored supports for a deck, removed tree roots, excavated trenches, etc. The second most common reason is that the line was not properly hand exposed. Gas lines could be buried just a few inches down. Gas lines are initially installed about .8 meters (32 inches) deep in customers’ yards, lanes or easements, but as structures are built and grade changes are made (soil is added or removed), lines can be much closer to the surface. Lines have been hit digging fence post holes, anchoring supports for decks and swing sets, planting trees, removing tree roots, driving landscaping stakes into the ground, digging trenches etc. Hitting a natural gas line has a big impact on service. Customers can be without gas service for anywhere from an hour to one or more days, depending on where the hit line is located and the extent of the damage. Hit lines are expensive, and you could be liable for the costs to repair the line. To be fair to our customers who do dig responsibly, West Parkland Gas Co-op Ltd. will collect the cost to repair the hit line and restore service from the individual or company that caused the damage. It may be as little as a few hundred dollars or as much as thousands of dollars. The cost includes West Parkland Gas Co-op Ltd.’s time and resources to respond, repair the line and restore service to affected customers, the cost of the escaping natural gas, loss of revenues, and – in some areas of our franchise – the fire department and other first responder costs. How can I prevent a hit line? Whether your project is big or small – make the call. Utility lines could be located more than a metre below the ground, or just a couple of inches. If your project requires digging within 5 metres on either side of locate marks, expose the gas line by hand for 1 meter on either side of the gas line before using any mechanical digging equipment or machinery. Do not construct any buildings, additions, garages, enclosed patios, decks, or garden sheds over gas lines or utility easements. Please call West Parkland Gas Co-op Ltd. to determine what is allowed under provincial regulations. Plant trees at least one metre away from locate marks. 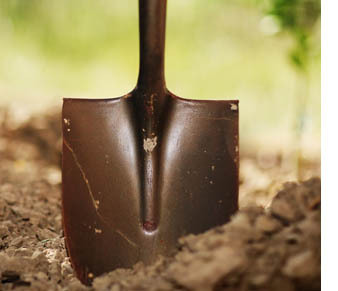 More distance is required if you are planting larger trees using machinery such as a tree spade. If you are unsure, call West Parkland Gas Co-op Ltd. office before planting. What happens when a line is hit? Learn to recognize signs of trouble. You may be able to detect a gas leak from a pipeline by sight, smell or sound. Natural Gas is odourless, therefore mercaptan, which smells like “sulphur” or “rotten egg”, is added as means to help alert of leaks. Natural gas is colourless, but vapour, a plume or “ground frosting” may be visible at higher pressures. A gas leak may also be indicated by bubbles in wet or flooded areas, distinct patches of dead vegetation, dust blowing from a hole in the ground or flames if the leak has ignited. A hissing or roaring noise (if it is a high pressure line) could also indicate a natural gas leak. In a wide-open area, because natural gas is lighter than air, the natural gas escapes up into the atmosphere, reducing potential danger of explosion or fire. In an enclosed area, there is great concern for safety and immediate evacuation of the area may be required. How does West Parkland Gas Co-op Ltd. respond? Make the area safe by identifying the source of the problem and ensuring the site has been cleared of anyone whose safety may be at risk. This may include evacuation of nearby homes or buildings and, if necessary, shutting down the natural gas and/or electrical power to the area. Dig down to the line. Shut off the line upstream of the break to stop the flow of natural gas. Make the repair to the line. If required, gain access to each home or building to re-light the furnace and natural gas appliance pilot lights. West Parkland Gas Co-op Ltd. investigates every hit line. In addition, depending on the nature of the hit line, other organizations such as the local fire department and or appropriate government agencies may also be involved.